I am Jeremy Stucki, a 27-year-old Interaction Designer living and working in Zürich. My company is Interactive Things. You can find me on twitter, tumblr, vimeo, last.fm, delicious, and xing. If you want to get in touch, send me an . Retype is my and Christoph Schmid's Bachelor thesis project. 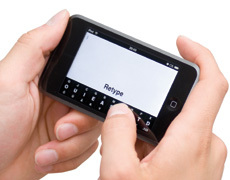 We designed three new methods of text entry for mobile touchscreen-based devices such as the iPhone. For more information, watch the video and visit the project website. A software visualization project in collaboration with the University of Zurich. 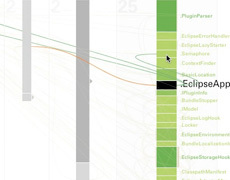 To visualize a large software package structure, we built an interactive prototype using Processing. You can watch the screencast or visit the project website (in German). SoftVis received a Digital Sparks 2008 nomination! Check it out in the Digital Sparks booklet (page 215). Trickel is a community project to help people promote events. On trickel.ch users can search for events, register their own, and create posters. Together with Adrian Stutz I developed the back-end using Ruby on Rails.